Simple intravenous fluid drips could save the lives of many West African Ebola patients, but are being neglected because of a perception that there is no effective treatment for the disease, specialist doctors said on Friday. "Ebola treatment centres must be more than just a setting for quarantine," Ian Roberts of the London School of Hygiene and Tropical Medicine and Anders Perner of Copenhagen University wrote in the journal The Lancet. "Patients will be reluctant to attend treatment centres unless the care they receive . . . is superior to the care provided by family members." 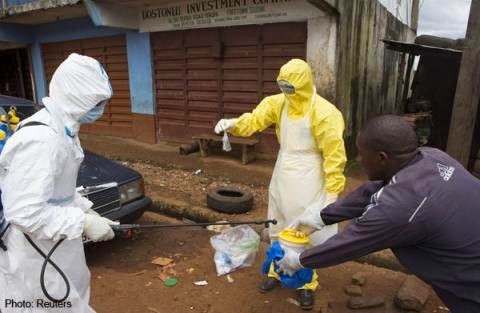 West Africa's Ebola epidemic, by far the largest on record, has killed more than 6 000 of the 17 000 or so people infected so far, according to the World Health Organisation. Guinea, Liberia and Sierra Leone account for all but 15 of the deaths. But many patients are probably dying not from the disease's signature haemorrhaging, but from extreme dehydration and electrolyte depletion caused by nausea, vomiting and diarrhoea, the scientists wrote. The fact that there is no proven vaccine or drug cure has led to the "widespread misconception" in the worst-hit countries that no treatment is effective, Roberts and Perner said. "Whereas many patients . . . receive oral rehydration and some electrolyte substitution, the use of intravenous fluids and electrolytes varies, and it is likely that many patients die from deficiencies in fluid volume and electrolytes."